While the holiday season is supposed to be one filled with good will, it’s also a time rife with return fraud. According to the National Retail Federation (NRF), 95.2 percent of US retailers have been confronted with the attempted return of stolen merchandise, and that’s just one of the many scams that pose threats to retailers. NRF estimates the retail industry loses $9.6 billion a year through fraudulent returns. Return fraud can take on many forms, from the aforementioned return of stolen goods or used items, to the return of items at a refund rate higher than what was paid, and even the purchase of items with counterfeit currency. 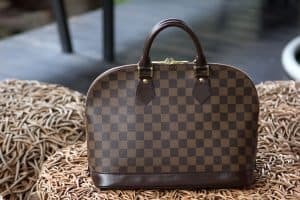 Now, with the rise of “super fake” counterfeits, many retailers have also been victims of a scam where the scammer purchases an authentic item but swaps it with a fake before returning it for a full refund. There’s not enough time to vet every return: With the sudden increase in orders typical for the season, the staff processing them are already stretched thin, and just don’t have time to investigate every return. Return policies are loosened with gift-giving in mind: With the idea of making returning unwanted gifts a more seamless process, many retailers will relax their normal rules, offering extended windows and even forgoing the need for a receipt. This opens a window of opportunity that scammers will take advantage of. Holiday parties inspire more “wardrobing”: The practice of returning an item after it has been worn is sometimes referred to as return abuse, as opposed to return fraud. No matter what you call it, it results in major losses for retailers. Fear of negative online reviews: Now, more than ever, consumers are turning to online reviews before making purchasing decisions. Retailers are sensitive to negative tweets and online feedback. Because of this, they’re often more lax than they should be. Limiting fraudulent returns is critical for retailers that don’t want to wake up with a hangover in January. Fortunately, several tactics are available to do just that. But the mix of prevention tactics used, and their chances of success, may depend very much on the nature of your business. With “Christmas Creep,” the holiday season—and its accompanying, relaxed return rules—seems to start earlier and earlier every year. With policies kicking in as early as October and not ending until mid-January, fraudsters have a three-month window during which they can take advantage. For those without the resources to assess the validity of every return or the deep pockets to absorb fraud-driven losses, consider taking a more conservative approach to seasonal returns. As long as you make your terms and conditions clear, the policy is really yours to establish. One advantage e-commerce retailers have over brick-and-mortar peers is data. Buyers (or potential buyers) leave a trail of data everywhere they travel across the internet. With new technologies for pattern recognition, retailers can gain insights from that data trail. The type of return fraud for which a customer returns an item for a refund higher than what he or she paid can be virtually eliminated with slightly tighter reins on the refund process. For example, only issue a refund in the same currency and with the same payment type used for the initial purchase. If the buyer paid with a credit card, the refund should not be made in cash. When it comes to items without receipts—or where there may be a question of whether or not the item was used—consider a tighter policy, such as refunding only for store credit or for an equivalent-item exchange. With the type of fraud for which an item is switched with a replica, it’s vital that retailers have a way to tell if the item the buyer is returning is, in fact, the same as the one purchased. One control method many retailers have implemented is the embedding or attaching of an RFID tag. If the item is returned, the retailer need only get the data from the tag to know for sure. Of course, adding a physical tag isn’t always feasible, as even unsold items have the added resource and tag cost—and implementation brings its own barrier. For smaller retailers, the cost of deployment can be a big deterrent, while larger retailers may have more logistical issues, such as simply getting gadgets attached to everything in their sizable inventory. In recent years, the fight against fraud has prompted a wave of innovation as companies strive toward a solution that is both invisible and easy to apply. In Singapore, researchers have developed tiny magnetic identification tags that they claim can be produced for less than a half of a cent each. New York-based Entrupy has created a fingerprinting technique that doesn’t require any additional tags—just a microscopic camera that is powerful enough to see the tiny differences that exist in even the most mass produced of products. Retailers should know that there are a number of technology developers working hard to develop solutions that are convenient, inexpensive and effective ways to combat this scourge. Until then, stay vigilant, so that the season’s sales boost is not eradicated with losses incurred because of fraud.